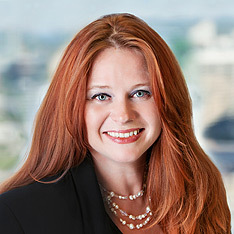 Misti Mosteller practices in the firm’s Dallas office, which she joined as an Associate in December 1999, and has been a partner since January 2008. She manages and coordinates the defense of several companies in Texas. Her practice includes general litigation matters, including products liability, toxic tort, premises liability, and employment law. Ms. Mosteller is also a certified mediator. Her mediation practice involves all manner of disputes, ranging from family law cases to personal injury matters. Ms. Mosteller received her B.A. in Political Science in 1996 from the University of Texas at Arlington and her Juris Doctorate in 1999 from Southern Methodist University School of Law. She was admitted to the State Bar of Texas in 1999, the State Bar of Oklahoma in 2009, and is a member of the State Bar of Texas, Alternative Dispute Resolution, and Women and the Law sections, the Dallas Bar Association, and Association for Conflict Resolution, Dallas Chapter. Ms. Mosteller is the co-author of "Asbestos & Criminal Liability: A Case Study of U.S. v. W.R. Grace – Could You Be Next? ", presented at the Defense Research Institute’s annual Asbestos Medicine Conference in November 2009.